Apart from all other systems based on GPRS or VHF transmission, SmartTrack uses the satellite and for this reason the reliability of communication is always guaranteed in almost every part of the world, in inaccessible areas and especially offshore where no other traditional system can to broadcast. SmartTrack is ideal for small-sized charter applications because it does not require installation. 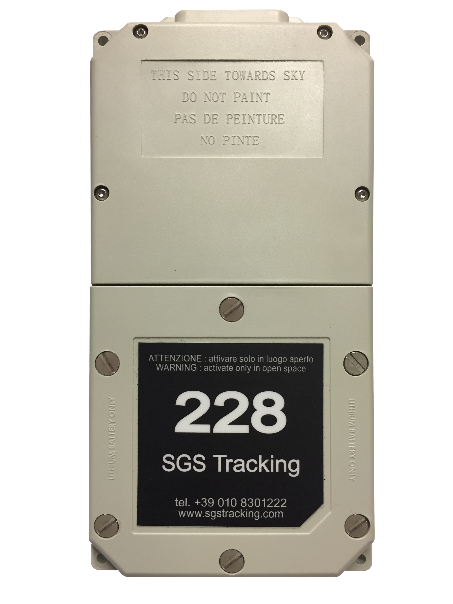 The satellite transmitter, the GPS, the antennas and the batteries (duration of 2000 messages or three years) are integrated in a single small waterproof device. SmartTrack can be easily activated and deactivated by turning a lid protected by two screws a moment before bringing it on board or you can leave it on board activated and use its internal vibration and displacement sensor to start automatic transmission when the boat is actually used. When it is necessary to obtain the maximum protection of the boat, SmartTrack can be supplied complete with an additional wiring for interfacing to the on-board systems that allows to connect a battery power supply, two alarm contacts (for example bilge and intrusion or request for Rescue) and the optional data monitoring and engine diagnosis system UNS10185, produced by SAN GIORGIO SEIN In this way every failure of the boat can be reported and managed in real time. Contact us to study customized solutions. 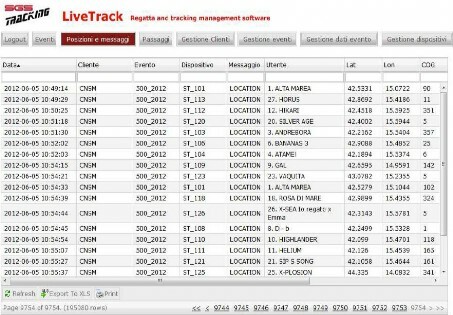 SmartTrack is managed through LiveTrack, an internet application through which it is easy to manage the rental boats and the data of the associated customers. The real-time control is done by showing on maps the track and the data of each boat with the interesting possibility of overlapping the weather forecast of the subsequent 72 hours. Localization can be shared with the fi nal customer or kept private. At the end of each rental event it is possible to export the statistical information and the complete track of the positions to supply it to the final customer. In the case of approach to pre-established positions (eg port entrance) it is possible to activate the sending of a text message to the responsible personnel to facilitate the recovery.